India vs New Zealand live streaming: Indian cricket team will look to get back in the series by securing a victory in the 2nd T20I against New Zealand on Friday. The India vs New Zealand match will be played at Eden Park, Auckland and it will start from 11:30 am India time. The live TV coverage will be available on Star Sports Network while the live streaming can be accessed on Hotstar, Jio TV and Airtel TV app. 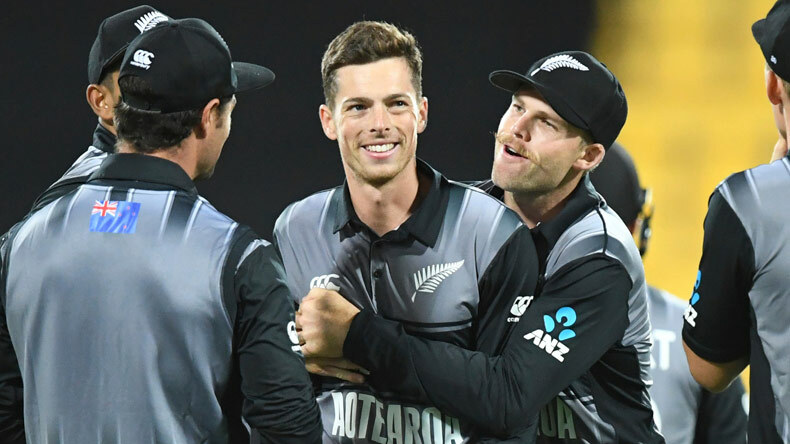 India vs New Zealand live streaming: A bruised and beaten India will look to bounce back on Friday when they play a rampant New Zealand side in the second Twenty 20 International (T20I) match at Eden Park, Auckland. India trails the 3-match T20I series 1-0 after suffering an embarrassing defeat by 80 runs in the first T20I match. Skipper Rohit Sharma and his travelling troops will be on their toes after a dismal performance on Wednesday while the New Zealand team will look maintain momentum and seal the series with yet another resounding victory tomorrow. India bowling attack, which had to do without ODI series hero Mohammed Shami and Kuldeep Yadav, will be wary of the threat that the Black Caps pose with the bat, especially Tim Seifert. While the Indian batsmen would want to shake off the complacency they displayed in the series opener and get their game right in order to keep Team India in the series. What time does the 2nd T20I between India vs New Zealand start? The 2nd T20I starts at 11:30 am India time on February 8, Friday, at Eden Park, Auckland. Where to catch the live stream of India vs New Zealand 2nd T20I match? The live stream of the 2nd T20I will be available on Hotstar, JioTV and Airtel TV. What TV channel will show live coverage of Ind vs NZ match? Where will be the 2nd T20I between India and New Zealand played? The 2nd T20I between India and New Zealand will be played at Eden Park, Auckland and it will start from 11:30 am India time. What are the squads for the 2nd T20I between India and New Zealand?